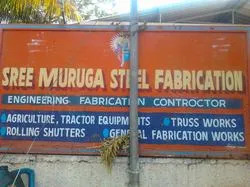 Established in year 1985 we 'Sree Muruga Steel Fabrication' engaged in manufacturing and supplying a wide array of Agricultural Machines and Cultivators. 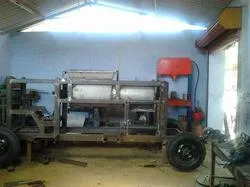 Our offered product array includes Agricultural Machines, Brick Making Machines, and Auger Machine and many more. the entire product range is assembled using branded components, which we procure from the most trusted and authentic vendors of the industry. Advanced manufacturing techniques are used by us that improve our production capacity and help us to remain in pace with the existing industrial developments. Our products are highly appreciated by our valuable client for their unmatched quality and unbeatable price in market. Our infrastructure strengthens our position in the industry and enables us to meet the bulk orders of clients within the stipulated time period. Our various departments are skillfully handled by our knowledgeable professionals, who utilize the available resources efficiently and ensure to carry out systematic business activities. They also carry out task in coordination, keeping in mind the objectives and targets of department as well as company. Team of highly experienced professionals is working in organization, holding a complete knowledge and experience in their respective domain. Our team consists of talented quality controller, engineers, production experts, technician, warehouse personnel, sales and marketing experts and others. Our experts keep themselves updated with the prevailing client’s requirements as well as development of the industry and ensure to deliver products accordingly. Our client can avail our offered qualitative products at affordable price. Our highly qualified team is working under the proficient and expert guiding principles of our proprietor Mr. K. Pachaiyappan, we have been able to carve a niche for ourselves. His futurist approach and rich industrial experience has helped us to serve to the diverse needs of clients in a better way. Our commitment towards delivering quality approved range in the market has helped us in marking our name in the list of top notch organizations. We have a quality control department, where our entire product range undergoes rigorous quality tests by our knowledgeable experts. Here, we have installed advanced testing equipment, using which we ensure to make delivery of flawless range in the market. Our company is supported by a highly advanced and state-of-the-art infrastructure, equipped with necessary and required facilities. 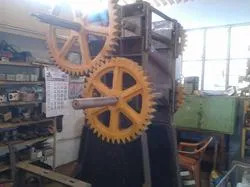 Advanced equipment and machinery has been installed by u in our production department, which further helps us in manufacturing flawless and bulk products within the prescribed time. Besides, we possess a highly spacious warehouse, where we can safely store our large product range for maximum time period. We feel proud to have a team of highly talented and experienced professionals, holding deep knowledge in their respective working domain. Moreover, we select employees after judging their efficiency and skills on defined parameters as well as assign them posts accordingly. 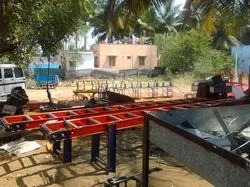 This has enabled us in performing our business operations in most systematic and better way. Various training programs are organized, which keep our personnel aware of the existing market developments. We have achieved an enviable position in the industry by providing a most desired and quality approved range in the market. This further helps us to deliver products all across the country and acquire a large base of clients. Moreover, we also ensure to deliver our range within the committed time period.